Marina Hramina is located in Murter, a place on the North Dalmatian island with the same name, at the very entrance to the National Park Kornati. The marina itself is located in a naturally well-protected bay Hramina, close to the village centre. 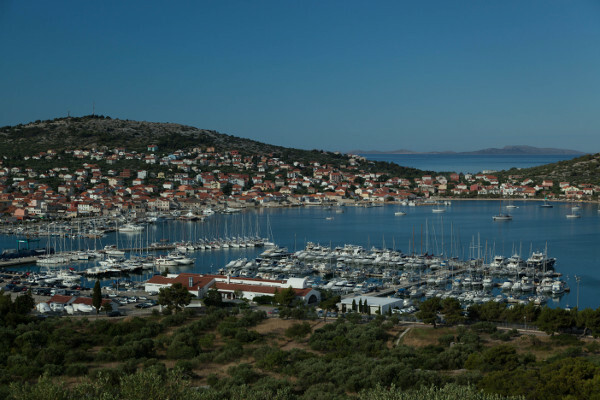 Due to its geographical location and proximity to national parks Krka and Kornati, Marina Hramina is considered an ideal stationary and departure port. The island of Murter is in the centre of Adriatic coast, between Zadar and Sibenik and is the largest inhabited island of the beautiful Sibenik archipelago. The true tresure are Kornati National Park. The Kornati archipelago is a unique island group in the Meiterranean sea, stretching over 300 square kilometres with 140 islands, islets and reefs and it a true haven for boaters, divers and all those looking for experience, peace, tranquillity and magnificent nature. The town of Murter offers: health center and pharmacies, private accommodation – apartments and rooms, post, bank, open air cinema, petrol station for service vessels and cars, car repair shops, scuba diving, tennis court and extraordinary beaches. Because of its position and unique natural environment, the island Murter is inevitable stop for yachtsmen who can use 350 berths and 170 places on the marina's premises, service workshops and all the necessary facilities. If we add to this numerous restaurants and inns, possibility for sport and recreation both on land and sea as well as various cultural and entertainment events, we shall find enough reasons to visit Murter.